These cars were made to please. Seeing these tiny li’l things speed around like little go-karts on public roads always puts a smile on our faces, and how could they not? Being smaller makes everything better, and cuter. Ah, the Testarossa. Not the rarest Ferrari, but definitely one of most iconic. Reader AUTOVOX can tell his story behind the lust and excitement that he carries for them. It was some 20 years ago, I was going around for my Service inspector job and I had just stopped at an highway Autogrill for a coffe, when I saw her... I remember standing in the drizzling rain for about 10 minutes just to stare at it, since it was so BIG, beautiful and looking powerful! I had only one other similar staring situation in my life, and it was in front of the Sphynx in Giza (well before the ISIS)... true is that I stood watching it for almost one hour. Just the thought that there are so many of these tiny French cars kicking around is enough to make us smile, but seeing one up close in real life? That takes the day to another level. Though I’m sure some of the international readers are a little more jaded when it comes to the sight of a pre-R35 GT-R, there’s something about these turbo, AWD-driven ‘zillas dressed in their undeniably Japanese exterior that turns heads, and keeps them turned. There’s nothing like seeing a proper utility farm vehicle being used for daily driving and grocery-getting. Oh, Defender, stop kidding around. You know you can’t hide your British farm-vehicle roots. Stop trying! Does it really surprise anyone that the vehicle that has been coined the “clown shoe” is a car that makes people around the world smile? No, it’s not. Known for their unique character, versatility and low-cost, Beetles have always been a close friend to the “everyman’ around the world. Since their popularity has faded, Beetles have become increasingly rare to find (running). 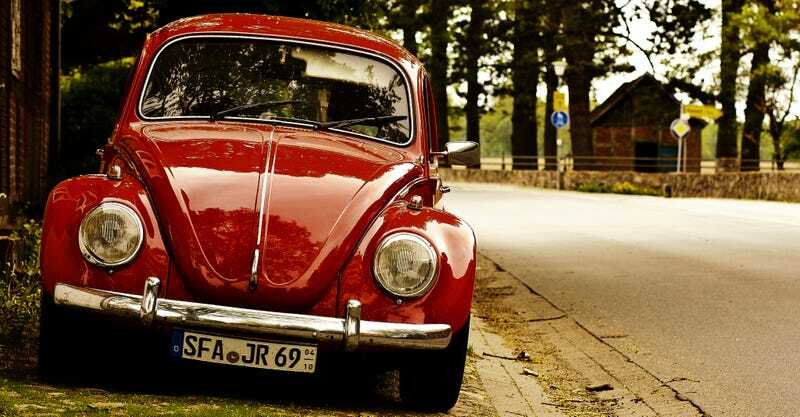 When people see Beetles really being driven, it’s a very beautiful thing. When a Countach is seen driving down a road, it’s like everything freezes. No one can keep their eyes off it. The Countach’s crazy angles and lines are a supercar design stable, and they’re batshit crazy. The best kind of crazy! That gaping mouth-grille and wide-opened eye headlights have made the NA Miata one of the most friendly cars on roadways around the world. But you know you’re probably not having as much fun looking at it as the driver is having being the wheel. And though the new ND Miata may have changed things up a bit with slightly more aggressive styling, it still stays true to itself as the happy Miata Mazda has always been known to produce. Whether you have to walk to your garage, find it in a parking lot or approach it on a city street, you can always remember that your car is, well, yours. The car you can do anything in, the car that means everything to you and the car that probably rarely fails to please you. If you don’t smile when you see your car, you probably bought the wrong car.